C. Kramer If you want to write articles on InfoBarrel sign up here. 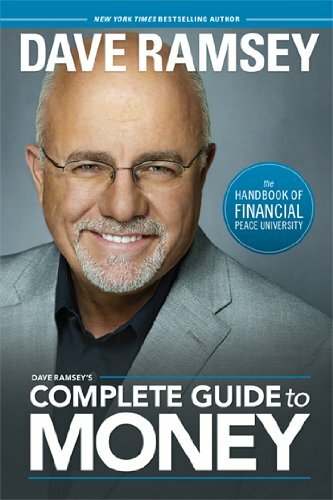 Recently my wife and I went through Dave Ramsey's Financial Peace University. If you don't know, it's a nine week course that teaches you financial self-discipline, budgeting and how to save effectively. However, one principle that seemed to repeat throughout the entire duration of Credit: by 401K via Flickr http://www.flickr.com/photos/68751915@N05/ the course was the importance of living intentionally with your money. Dave Ramsey repeated this concept over and over until it began to sound like a classroom mantra. By week four everybody was espousing the importance of intentional living. But what does it actually mean and how does one do it effectively? What is living intentionally with money? 1. Track your current expenses, lifestyle, and behaviors - This step is about as easy as they come. It's actually not even asking you to change anything about your current lifestyle. All you have to do for the next week, two weeks, or month is track your daily expenses and be conscious of your spending. Don't flood yourself with negative self-talk, or berate yourself for outlandish expenditures. Simply track your spending, mood, and behavior and start to identify trends in not only your spending, but in your mindset as well. 2. Budget your monthly take-home pay - Now that you've tracked your expenses, I bet you're a bit surprised. I know my wife and I were. I mean, who knew cars cost that much, right?! But here comes the fun part: Create an Excel spreadsheet, use Dave Ramsey's free budgeting forms, or grab a simple piece of paper and a pencil and jot down all of your bills, insurance dues, grocery expenses, luxuries, and debts. 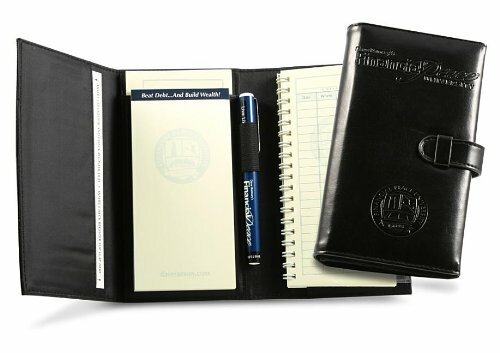 Make a prioritized list of everything you spend in a month. And I mean everything. 3. Create a zero-balance budget - Dave recommends taking those expenses from step two and drafting a zero-balance budget. This means that you'll factor your monthly take-home pay, subtract out all monthly expenses, savings, charity, and debt payments, and leave yourself with--if you've done it right--a big fat zero dollars. Why zero? Because you've already allocated every dollar and, as Dave says, "given every dollar a place to go". 4. Now, with budget in hand, be intentional - Gone are the days of impulse buying, comfort shopping, and needlessly extravagant lifestyles. You're and intentional person with a budget (which is the equivalent of a financial plan). You have goals and aspirations that will require the use of your hard-earned money, so you know you won't be buying frivolous things any time soon. It'll be tough, but I can guarantee it's worth it. After going through the course, my wife and I have already paid off $12,000 dollars in debt in 6 months! It's possible, you just have to be intentional. Good tips for using what you earn to accomplish your goals.